Bombardier Transportation has signed an agreement with Eurotunnel, a subsidiary of Getlink that manages infrastructure and shuttle service of the Channel Tunnel. The contract includes renovation of nine 28-wagon PAX shuttle trains carrying automobiles and buses with passengers remaining in their vehicles through the Tunnel. The deal is valued at 150 million Euros. 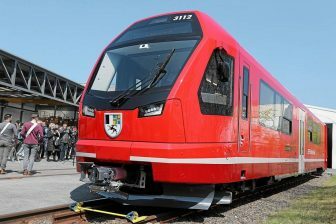 The upgraded railcars will be delivered from mid-2022 to mid-2026. The PAX units were originally designed and manufactured by Bombardier Transportation in the 1990s at the Crespin facility in the Hauts-de-France Region, France. Each shuttle train consists of 28 wagons of several types: 12 single-deck wagons (for coaches, minibuses, caravans and vehicles over 1.85 metres high), 12 double-deck wagons (for cars and motorcycles), two double-deck and two single-deck loader wagons. 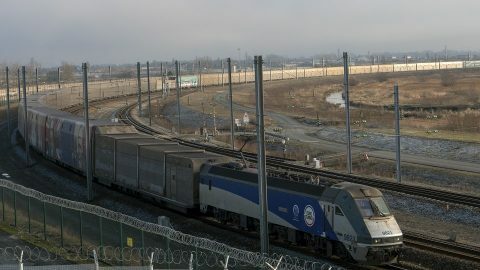 Eurotunnel will design and procure key equipment such as brakes, doors, fire doors, fire detection, HVAC and the double-deck loaders as well as will manage the homologation process of the renovated shuttles with the authorities. 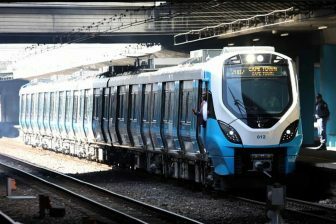 At the same time, Bombardier Transportation will provide technical support to prepare the required documentation. 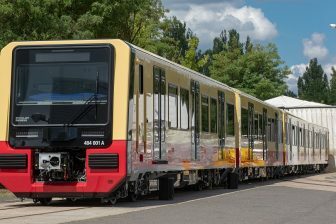 In addition, the Canadian technology company will be responsible for the integration and renovation operations except for the single-deck loader wagons and will lead the engineering design and procurement for onboard equipment. The PAX shuttle trains are running through the Channel Tunnel for 25 years since its opening in 1994. They connect Folkestone, United Kingdom, and Calais, France in 35 minutes. In 25 years, the units carried more than 86 million vehicles and 430 million people inside them through the Tunnel. It means that during this period each shuttle has made an average of 300 round trips per month between France and Great-Britain. The wagon upgrading was caused by service needs. “This strategic investment, our most important in 25 years, allows Eurotunnel to maintain the highest level of quality service and to affirm trust in its long-term perspectives,” said François Gauthey, Deputy CEO of Eurotunnel.